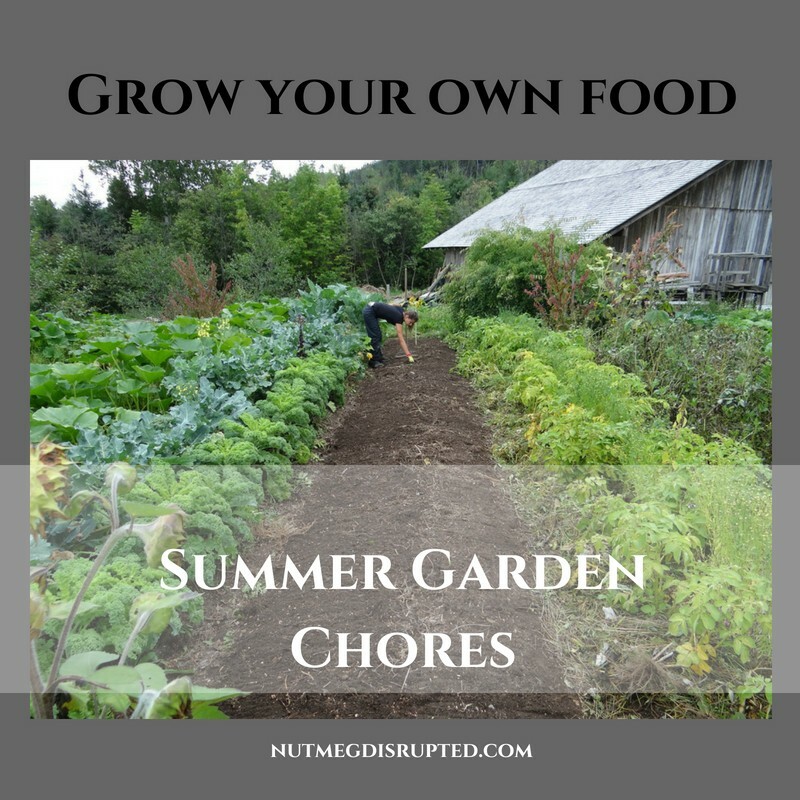 Grow Your Own Food is an information series on gardening in Canada that will get you started on the right foot and help you every step of the way to having the garden you dream of! This series was originally written for and published on Food Bloggers of Canada. 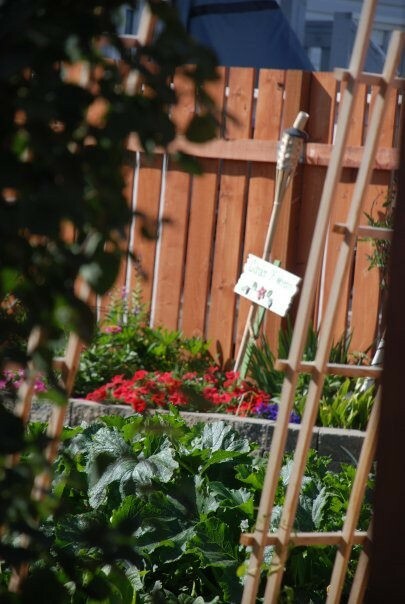 Some of us have been planting for a few weeks now, some are completely done and for some it is continual depending on what and where they are growing. Like most, I think I am done and then I see a plant I just have to add, or perhaps I found inspiration from an image I’ve seen or a yard I have passed in my travels that sends me back to the greenhouse. Because lets face it, there is always room for one more plant. Now that the gardens are in we can look at moving any seedlings we started inside out and look at some of the other jobs around the yard. First we’ll get those seedlings outside. We have to slowly acclimate the annual and vegetable seedlings to the outdoor conditions. The sun is hot, even in spring and can burn tender seedlings very quickly. Set them outside in a shady spot exposing them to more sun over several days. Be sure to protect them from the wind and keep them watered well. Move them back indoors or cover them with a sheet at night so they can gradually adapt to cooler evening temperatures. I usually extend this process over a 2 week period to make sure they do not get cooked when the temperatures soar. You can also use row covers and move them directly to the garden after the first week. Row covers diffuse the light, retain heat and keep away any predators. Be sure to leave the ends of the rows which are covered open for air flow. Install trellises, netting or poles and fence for tall growing peas and beans after they emerge. Place any tomato cages now when plants are small. It is hard to place them once the plants are larger and often result in broken stems. Once the seeds you planted are two to three inches tall and you can differentiate the vegetables from the weeds. Now you can pull the weeds and remove the string markers. Continue to pack down the soil in the pathways between the rows. 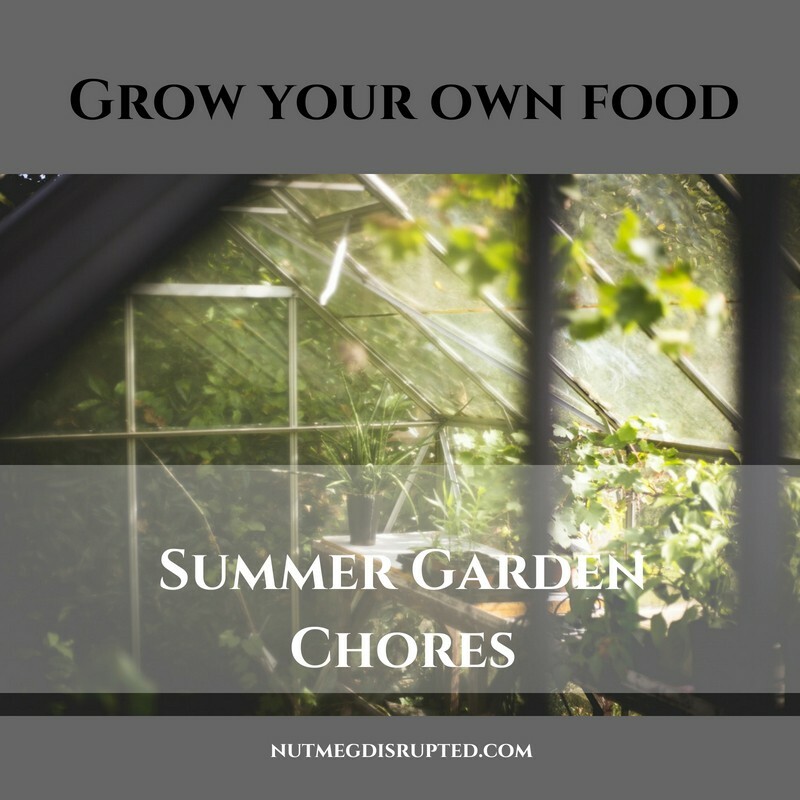 A bountiful harvest is possible when plants are healthy which means consistent watering, a good feeing schedule and weeding. You have probably heard the saying, growing like a weed for good reason. Unlike flowers and vegetables weeds can grow in any condition and they compete for water and nutrients, good weeding practices are important. Fertilize any spring bulbs you may already have growing and allow the foliage to die back naturally. Do not trim them as the energy from the plant material is being stored back into the bulb and they are recharging for next years flowers. I like to leave any seed heads to dry out on the plants. I will collect the seeds once they are completely dry, allow some to fall and reseed naturally and also leave some for the birds. I don’t know if they eat the seeds but the dried stalks make for great perches for the birds to sit on when visiting the garden throughout all the seasons. Transplant perennials on a cooler shady day to reduce transplant shock and be sure to water frequently. Support taller perennials such as delphiniums, hollyhocks and peonies with wire hoops or bamboo stakes before they get to wide and tall. You can adjust it as they grow. Carefully consider the mature size of new trees and shrubs before planting. A great idea is to work them into the master plan to see if they will fit in the long term. Keep in mind over head power lines, proximity to fencing as well as the house. Take a look at a fully grown tree. See how large the crown is (the branches and leaves) that is how large the root system will be when your tree is fully grown. However large the top is, is how large the tree is under ground. That is some food for thought! Especially when planting next to your home. Make the planting hole three times wider than deep and only as deep as the root ball. Its surface should be level with the ground once placed into the planting hole. Backfill with soil and water well weekly to establish the roots. Prune any ornamental shrubs after flowering such as lilacs and trim any hedges. Mowing your lawn often is one of the best ways to naturally feed it. Do not use the bag, instead allow the grass clippings fall back into the lawn. As they break down they feed the soil. Lawns survive drought better when their roots grow deep into the soil. You can encourage this by watering early in the morning giving them an inch of water a week. A great way to measure this is by using an empty tuna can on the lawn if using a sprinkler. Once the can is full you have hit the one inch mark. Arrange containers into groups for greater effect. Different heights and colours add visual drama. One word of note, containers that are against a light or white coloured wall will dry out quicker then ones against dark coloured walls. Dark colours will absorb the light, white and light coloured walls will reflect the light making the growing area hotter. Water well, when it is very hot containers and hanging baskets could need water daily. Fertilize every 2 week for healthy plants and full blooms. And be sure to make any notes about the garden, transplant and planting dates and how everything is doing in your garden master plan. It is a great reference to go back to through the years to see what did and did not work. In July we will discuss mulch. We will learn the what’s and why’s of why we mulch. We will also discuss a bit of planning for the harvest in terms of saving seeds and what we need to think about for August and September.